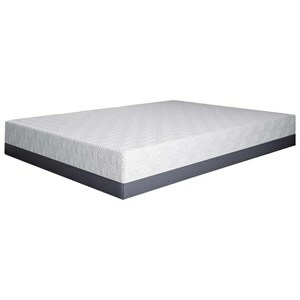 The Gel-Max Memory Foam King 12" Memory Foam Mattress and H100IR Power Foundation by BedTech at Sadler's Home Furnishings in the Anchorage, Fairbanks, Sterling, Alaska area. Product availability may vary. Contact us for the most current availability on this product. 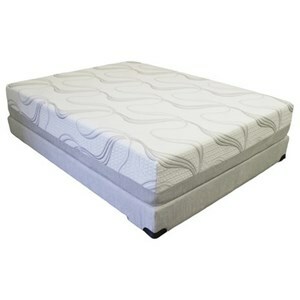 MAX-1266 King 12" Memory Foam Mattress 1 12"
Comfort Layers 2" top layer of soft gel infused 4 lb cooling memory foam. 2" of 3 lb density memory foam middle layer. 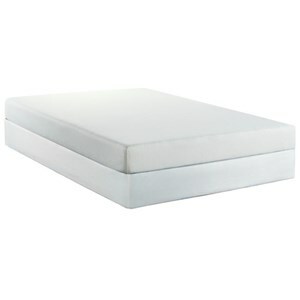 6" of high resilient 2.0 lb density foam base. 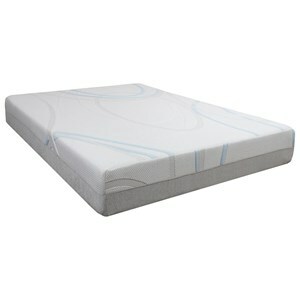 Foundation/Box Spring Headboard/Bed Frame Compatible. Full-Range Positions Adjustment (Head and Foot). Weight Capacity 750 lbs. Wired Hand Control with Blue Backlights. Flat Button. Emergency Power Down Battery Box. 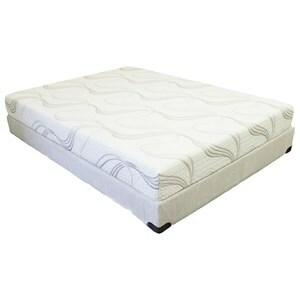 Warranty Mattress: 10 year NON pro-rated warranty. Base: 3 Years Parts and Labor Warranty.